Reading David Congdon's seminal work has brought home for me how crucial for Rudolf Bultmann was the turn-of-the-century recovery, within New Testament studies, of apocalyptic eschatology, especially as this development helped bring to a close the first, liberal quest for the historical Jesus. (For a primer on this topic, I recommend Congdon's Rudolf Bultmann: A Companion to His Theology, Cascade, 2015, chap. 1). The scholarship of Johannes Weiss and Albert Schweitzer, especially, established a revolutionary -- and especially, in those days, jarring -- portrait of Jesus as an apocalyptic prophet who foretold a cosmic, cataclysmic and immanent judgement of the present evil age that would usher in the Kingdom of God. Previous portraits of Jesus, marked by post-Kantian ethical idealism, had interpreted the coming of the Kingdom of God as an internal affair -- or maybe more precisely, a reality that begins interiorly and spreads outward into the social world. That is to say, the kindgom in such view serves as a catalyst of a subjective spiritual transformation that would foster an emerging ethical commonwealth centered upon love of God and neighbor. 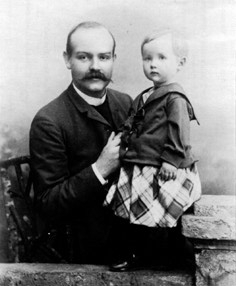 In a popularizing vein, Adolf von Harnack portrayed the teaching of Jesus as a dual affirmation of the fatherhood of God and the brotherhood of all people. Jesus' Proclamation of the Kingdom by Johannes Weiss. Ed. R. Hiers & L. Holland (Fortress, 1971). Weiss and Schweitzer changed all that, and their work sparked a series of crises in biblical studies and theology that marked the beginning of 20th century theology. 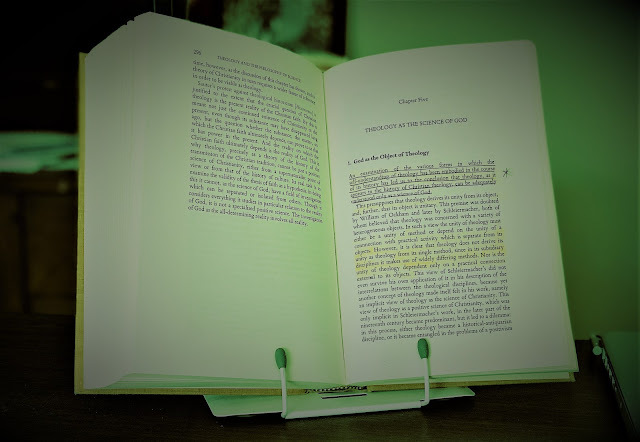 The effects of this revolution continue to this day, though I would argue the older liberal-historical type of reading continues to thrive in certain circles as well, for example among some proposals authored or inspired by the work of the Jesus Seminar in the 1980s and 90s. As with the earlier scholars, so too with me: My first encounter with the apocalyptic Jesus instigated my own crisis of sorts, goading me to pursue graduate studies in theology. I will always partially praise (or perhaps blame) a political philosophy professor for his offhand remarks about Schweitzer's Quest for the Historical Jesus and about the problem of "myth" in the Gospels for my decision to enter seminary rather than soldiering on in my little part-time job as a burglary reporter at The Birmingham News (that's Alabama, folks, not the UK). Before long, I had worked through Schweitzer's Quest and then his other major Jesus book, The Mystery of the Kingdom of God, and before long I was reading one of his books on Paul. Then I was reading Tillich and Teilhard, and on it went. When I began to study theology, theologians as well as laymen were excited and frightened by the theories of Johannes Weiss. I remember that Julius Kaftan, my teacher in dogmatics in Berlin, said: "If Johannes Weiss is right and the conception of the Kingdom of God is an eschatological one, then it is impossibleto make use of this conception in dogmatics." (Jesus Christ and Mythology, Scribners: 1958, p. 13). Today (in 1958) nobody doubts that Jesus' conception of the Kingdom of God is an eschatological one -- at least in European theology and, as far as I can see, also among American New Testament scholars. Indeed, it has become more and more clear that the eschatological expectation and hope is the core of the New Tesament preaching throughout (ibid.). Though I've read a decent amount of Schweitzer's work in Christian origins, I had never read the original text that proved so important in Bultmann's development -- namely, Johannes Weiss' groundbreaking tract, Jesus' Proclamation of the Kingdom of God. As it happened, I grabbed this book at a church tag sale a while ago, so I thought I'd write a post or two carefully working through the text. The editors of my edition indicate Weiss's work, despite its historical importance, was relatively neglected by the early 1970s. I don't know whether that is still the case, though I do know that the winds of historical Jesus scholarship have shifted in recent decades among a number of the Third Questers, and also that critical research on apocalyptic eschatology has achieved crucial advances. Still, I like old books, and often find they understand newer ones better. So please join me -- ad fontes! -- as I hope to explore in future posts one of the classic texts that spurred a theological revolution more than a century ago. Friederich Schleiermacher isan example of the opening of modern theology and before the re-discovery of apocalyptic. He is a worthy example of what it was like before Weiss. Schleiermacher says that we do not need any notion of the “return of Christ,” for, apart from literal exegesis we have no biblical warrant for the position that the reunion of believers is conditional on such a personal return. His point is that there are other biblical statements that emphasize that after death, believers are already united in fellowship with Christ. Therefore, we have no need of another “return” that unites believers to Christ in some other way. His position has much to commend it. Nor can he imagine some supposed intermediate state where Christians await the resurrection of the body, for such a state cannot be devoid of fellowship with Christ. If it were, it would amount to a lapse of grace and be an experience of punishment (par. 161). He thinks the notion of the last judgment is primarily to remove from the church the forces that hold it back from enjoying fellowship with each other and with Christ (par. 162). He thinks that any notion of blessedness or the vision of God that does not include communion with others would be insufficient. We are simply too communal as God made us to not have community by an important of our understanding of the end (par. 163). In an appendix to this section, he thinks that any notion of eternal damnation is omitted, for it would create a sense of emptiness and loss for those who receive the blessing of eternal life. In the end, divine love and divine wisdom are the goal, as Schleiermacher sees it, of all the works of God, whether in world, church, or individual, and whether today or in a consideration of last things. Johannes Weiss concludes his essay by pointing out that the difference between liberal Protestant view and that primitive Christianity is that “we do not share the eschatological attitude.” Our prayer is no longer that this world will pass away so that the kingdom of God may come. We live our lives in the joyful confidence that this world will always “be the showplace of the people of God.” He assumes that the modern view of the world is correct, of course. Then he notes that while this world will continue, “we, as individuals, will soon leave it.” He then offers that we can “approximate” the attitude of Jesus by living our lives in the spirit of living as if you were dying. Weiss re-affirms the distance between the modern mindset and that of an ancient world accustomed to mythical formations that helped them understand their world. Weiss focuses attention on the crux of the problem most of us have when we read apocalyptic literature. It sounds speculative. It expects an intervention from God into this world, especially when times become tough. For many of us, we have either read or heard enough of such expectations not coming true that we approach such writings with a skeptical frame of mind. We should do so, of course. The record of human history is that things can be horrific in our personal lives and in human history (do I need to verify this?) and obviously, God has not intervened. Many of us modern persons who read such literature are much like the “scoffers” to which II Peter 3 and Jude refer. It seems that eschatological myth has become of no use to the modern mind. The advantage of the dialectical theology of the early Barth and Bultmann is that it sets aside any expectation of human history or nature finding a fulfillment in Christ. It sets aside the expectations of action from God in chronological time, and thereby reserves the action of God in an eschatological moment in the life of the person. There are disadvantages to this that Moltmann and Pannenberg have sought to address, but it continues its appeal. David Congdon is an example of that appeal, I think, and he presents it well. Thanks, George. It's very helpful to set up Schleiermacher as the beginning of a trajectory that ends up in a different (though connected) destination a century later with Weiss and the dialectical theologians. I question this statement of yours, perhaps: "The advantage of the dialectical theology of the early Barth and Bultmann is that it sets aside any expectation of human history or nature finding a fulfillment in Christ. It sets aside the expectations of action from God in chronological time, and thereby reserves the action of God in an eschatological moment in the life of the person." I think there is a sense in which the early dialectical theology sees history, perhaps even the non-human natural world (though I'm a little less sure of the latter) as "fulfilled" -- but fulfilled, of course, in a dialectical and paradoxical sense, a way that is hidden in, with and other the realm of secular occurence -- and thus "available" as revelatory only to the eyes of faith. Explicating this understanding would involve engaging what Bultmann (and Congdon) have written about the "paradoxical identity" of divine action within the world. Then that would help us sharpen the disagreements between dialectical theology and the more "realist" eschatologies promoted by Moltmann, Pannenberg, Wright and others. I first became aware of Johannes Weiss when I was doing research on the concept of the Kingdom of God. His book, Jesus' Proclamation of the Kingdom of God", published in 1892, must have been quite a shock to academic theologians in Germany; especially to the followers of Ritschl and Harnack, since classic liberalism had abandoned the notion of eschatological proclamation. Although J. Weiss was an early Form Critic, I don't believe that he would share Bultmann's highly individualistic notions of salvation. The future age encompasses individuals within the large sphere of a redeemed people and a messianic rule (note Jesus' word's at the Last Supper). There is a tension between 'the now' and the 'not yet' that existential meaning can never express properly. Also, the life situation (sitz em leben) of Jesus must be tied to the historical expectation of the 1st century Jewish expectation and cannot be revised into new forms to accommodate theological whims (Moltlmann) or political agendas (modern American theological liberalism); that was the genius of Johannes Weiss. Thank you for drawing attention to a forgotten, yet highly important thinker. Thanks for reading, and for your comments. It's interesting also to note that Weiss was Ritschl's son-in-law. I'm sure there were some interesting conversations at Christmas dinner. I'm glad you noted the Kaftan quote. There's such a common Modern rejection of eschatology, concomitant with the rejection of apocalyptic, built atop the basic social progressive ideal of Western society. And it was really the wars that changed that. If you look at UCR3 for Barth's Münster eschatology lectures, he starts out ripping into Althaus for only being able to imagine eschatology as useful in order to handle the phenomena of massive human casualties in war. And we're still so stuck with this problematic social-project vision of the kingdom of God because we haven't fully come to grips with eschatology as anything but the theological equivalent of "punctuated equilibrium." Rudolf Otto took objection to Barth's Römerbrief claim about theology needing to be thoroughgoing eschatology for much the same reason: eschatology was useless for making constructive claims in theology, because how can you base constructive claims on what seems to be a basically destructive, exceptional claim? If the kingdom of God isn't something we can achieve in society, in other words, what good is it? It was a huge change to take eschatology and apocalyptic seriously—not so much because these people hand't existed before, but because the sense of there being any stable and obviously valid cultural project had been shaken enough after two World Wars to make room for them. And yet the next generation very quickly takes things back to "normal," closing the book on decades of irregularity. I'm going to call that the basis for the erasure of Weiss' work by the 70s, especially as an American perspective begins to overtake the normativity of European perspectives. It's the same thing that erased Moltmann for a while, once it became clear that his theology of hope wouldn't work in a culture of victorious optimism. And yeah, I'm also going to have to disagree with George (shocking, I know) about his tag regarding Barth and Bultmann. What their early dialectical theology does reliably is separate the expectation of the fulfillment of human history and nature in Christ from the expectation that Christ will be the fulfillment of our social projects and historical arrangements. They do not set aside the expectation that God really acts in history; they insist upon it! And they insist upon it in a way that is totally at odds with orders theologies. That action in history is eschatological in fact, without having to be related to the presumed end of world history as a progressive sequence in which we presume God is involved in a supporting role. Action in history, divine intervention in real time, is to be expected and treated as eschatological in ways that call "normal" into question. And yes, Pannenberg definitely thought that was preposterous; he's the epitome of the "back to normal" attempt by the next generation, confining the revelations of the war years within a closed moment we can ride out, something that was over and done with, after which we could resume making progress. Moltmann, on the other hand, can be forgiven much because he at least remembers and depends upon the inbreaking eschatological revelation against all human projects. J. Scott and Matthew: I grant that I may have overstepped in the "set aside" comment. I will say that I wrestle with early dialectical theology in its use of the word "eschatology." Thus, if we can see eschatology fulfilled in Christ with the eyes of faith, it seems as if it becomes something that happens purely within us. I write this, not as a criticism, but as attempt to get it. Matthew, whom I think I have unintentionally aggravated in the past, apparently thinks of eschatology in early dialectical theology as the action of God in history that calls into question the natural understanding of "normal." Again, does this not make the knowledge of Christ so subjective that it becomes difficult to engage others in reasonable discourse? I stress, Matthew, I ask seeking understanding. My reading of Pannenberg in Chapter 15 of his Systematic Theology is that whatever transformation occurs as "eternity enters time," it will be devastating to the self-glorifying involved in human projects. Even John Hick called this moment of judgment of humanity a picture of Hell. In any case, Pannenberg is quite clear that people like Weiss and Barth in particular deserve praise for bringing eschatology into theological and biblical discourse. J Scott, I am intrigued by your term of "realist" eschatology, to describe Pannenberg, Moltmann, and (NT) Wright. Have you written elsewhere about this? I am intrigued with the label. 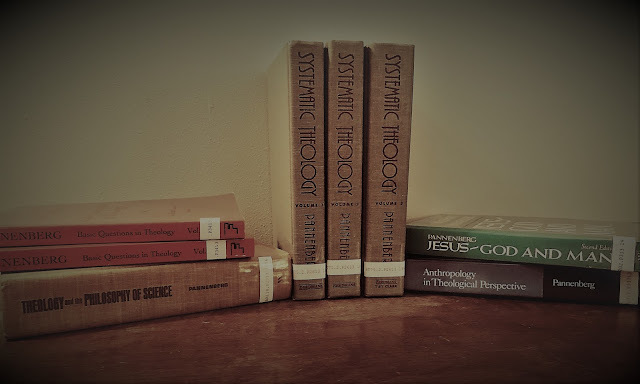 But seriously, as to your worry that early dialectical theology is subjectivist, I must say I have started changing my mind about this matter -- or at least, I'm rethinking some of my earlier criticisms. Claiming that all faith statements and authentic theology are existentially decisive for the believer doesn't entail reducing salvation to purely subjective experience. Congdon (again) is helpful in addressing this question. We can listen in a bit by reading his interchange with Paul Hinlicky in the Synidcate Theology discussion of last week. At some point, I think, I will need to write some more about this issue -- either here or in some other forum. I have not written about the eschatologies of Wright, Pannenberg, and Moltmann. Wright, for his part, explicitly claims the mantle of "critical realism," both in his understanding of historical method and in his view of constructive theology -- the two disciplines he hopes to integrate, I think. (See New Testament and the People of God). The claim about the other thinkers -- I know I'm painting with broad strokes here -- is simply that they envision eschatological fulfillment as more directly and univocally related to the course of human and cosmic history than do Bultmann and the early Barth. I take it that such a realism would not subsist in biblical literalism, but it would still hold that the eschatological promises of the NT cannot be reduced to the realm of the mythological. But you read these theologians quite a bit. Does this seem right to you? George, you and I do tend to go 'round and 'round on creation and naturalism, so it doesn't surprise me that we have similar disagreements at the opposite bracket of history. I want to say that engaging others in "reasonable discourse" on objective grounds has no standing whatsoever as a criterion for the content or form of the Christian faith—or the Jewish faith, for that matter, or however you'd like to characterize the various faiths of the authors and communities of the scriptural texts. Apologetics is a pure product of cultural conflict, shaped by it, and should remain totally posterior to dogmatics. There are no, and can as far as I'm concerned be no, "objective" grounds for theological discussion that are not first of all grounded in subjective knowledge of the object—which subjective knowledge, when we are moved to trust the object of that knowledge, we call faith. God is not such an object as can be known without its consent. God does not give Godself to be known in general and then wait to be chosen, and Jesus as an historical object cannot be known in ways generative of faith without encountering him as God subjectively. I do understand why the idea of the eschaton as the literal end of the cosmos appeals to apologetic pretenses to objectivity—in much the same way as the idea of creation as the origin of the cosmos appeals to apologetic "proofs" for the existence of God. But that's not in any way a useful position in dialectical theology. The flattening that results from the kingdom of God as a social project in the world as somehow divinely governed leaves no room for the basic posture of DT. And that's why Schleiermacher is so problematic! Instead of creation and eschaton as brackets around our Western progressive world-project, the point is to see the Fall and the eschaton as brackets around the worlds built by our hubris. Otherwise, there's no room for meaningful eschatology, no room for apocalyptic. There's no difference, only progress. So along comes Barth, following Overbeck and the Blumhardts as well as Weiss and Schweitzer, talking about a two-sided universe: our side and God's side, with our side immediately and in every moment standing under judgment. No blessed affirmation of human community in cooperation with Jesus under the beneficence of God the Father, no permission to bless any one of our projects in this world as God-ordained; only a mandate to act in accord with the God who comes to us from outside and as other, and whose indispensable grace comes as judgment on our presumed maturity and righteousness. The eschatological perspective is real, as real as the divide revealed between God's just rule and every last one of our world orders. That's not something that mires us in subjectivity; we're already mired in our own subjectivities! That's the problem, prior to every intervention of God in the world! The objective reality is the Fall as our free choice, in every tiniest aspect of life in the world. The objective reality to be discussed is a world of abject failure striving for success redefined on its own terms, as though God were optional. And so every impact of God's action upon the world comes as an eschaton to our worldviews, and to our constructed worlds as such. Jesus Christ as the fulfillment of the creature does not fulfill these worlds we have made; he fulfills the creature and its time in spite of us, in order to produce an awareness of our objective freedom and responsibility that can alone bring about right subjectivity in its appropriation. The eschaton comes first, objectively, in ways that destroy our existing subjectivities and demand of us new and more just ones! It will always be difficult to engage others in reasonable discourse about the knowledge of Christ as long as the objective apocalyptic reality is not grasped subjectively, in its depth of meaning for all human effort. There's no way around the demand that partners in dialogue share assumptions. Put differently: only a subjectivity that is not grounded in the objective reality is unworthy of discussion. There can be no extent of subjectivity of knowledge that invalidates, as long as it is knowledge of reality. What you want to discuss, George, is what reality is—and that's the contention between Dialectical Theology and post-Schleiermacher Modern Liberalism. To say that something only becomes real for faith when it is appropriated in life is not to say it's not objectively real; it is to comment on the fact that denial is the basis for the post-Fall world, in which we are perfectly capable of acting as if our socially-constructed unrealities are more real than God's actions. Deputizing God into Modern social progressivism isn't the solution to acknowledging objective reality; thoroughgoing eschatology is. Grabbing the other thread for a moment: George is right to raise the fact that Pannenberg doesn't deny, but actively seeks to use, these eschatological concepts. But what he does with them looks remarkably like preterist eschatology to me, in the sense that he treats the presence of the eschatological event in history as the point at which the course of world history was set onto a new track towards its future. In other words, Pannenberg submerges this apocalyptic eschatology back into a progressive world-historical notion of Heilsgeschichte, instead of maintaining the dialectic between God and the world that is essential to the apocalyptic view in scripture as much as in Dialectical Theology. What results is a hybrid that has most of the characteristics of old Liberalism, but which has found a way to embrace eschatology without compromising its project. The problem seems to come from taking the promise–fulfillment motif as a way of claiming Jesus as the proleptic presence of the end-historical eschaton itself. That makes possible Pannenberg's paradigmatic openness to the world, because suddenly all of history after that is on a line and we know the other endpoint of that line. When connected up into his full doctrine of God, that becomes all of history from creation to eschaton on a single line, divinely determined by its futurity. It's why every time I read him he looks more and more like Thomas (albeit festooned with outdated natural science concepts ... but that, too, is like Thomas). He believed that in Jesus he had found the answer to every question, which could make theology the queen of the sciences, however solicitous and beneficent; theology in Pannenberg's mold was the servant of the servants, and took up their methods because how could there be a conflict as long as we get the material right? Like Thomas, Pannenberg found a new way to assert the supremacy of divine labor over human effort within a singular timeline of history on its track from origin to telos. And so this inbreaking eschatology let Pannenberg be critical of the institutions of the present in favor of the future, rather than of all human institutions by contrast with the eternal God standing over against them in their own times. And that makes room for a far more traditionalist faith in the role of the church as an institution, because whatever its flaws they will be overcome toward the eschatologically-assured kingdom, and it's better in that sense than the surrounding world which will also wind up there. Judgment gets an escape hatch: you can be closer rather than farther away from your destiny. You can hope in the future in which you will be "destroyed" only by being perfected, converted into what you should have been all along. The mature Barth does things rather differently. The coming of Christ in the center of history isn't proleptic of anything; it is itself the actual teleological event of the fulfillment of the creature and its time, right there, smack in the middle of the history of the covenant of grace—a history which is not, for that reason, on any sort of track from beginning to end that means anything at all. The Fall is the origin of this history, and the eschaton will be its end, and neither it nor its institutions will be perfected. (Redemption pertains to the creature, not its manufactured worlds.) At best we may hope that this world of stolen human history will finally be reconciled to God and made fully functional as the covenant partner it ought always to have been—and that this will happen before the eschaton intervenes to end that history, whether we're ready for it or not. But we have no reason to expect that reconciliation will have a happy ending, and indeed we hope in the eschaton rather than in teleology because redemption doesn't depend on us getting it right. And that absence of prolepsis shows up in Barth's refusal to collapse the parousia, instead elaborating each of its three forms as separately valid instances: the resurrection, the gift of the Spirit, and the coming in judgment. Each of these is an entirely free act of God, another coming again of the one who came before. We do not have anything to fear from the eschatological coming in judgment, not because we've seen it already and know what it will be, but because we've seen this God and know and trust that God's self-revelation to us is true. Whatever these instances of coming-again add to our knowledge of God, we can trust that they will not contradict one another because the one who comes to us in them is the same. They do not tell us about history and how its course will go; instead they tell us about the God who upholds and accompanies us through history and will be with us just the same at its end. They do not tell us what will come after that end of this stolen history we've made for ourselves in the Fall; for that we must trust God who will redeem creation and give it its proper form. J Scott and Matthew, I am amazed at your productivity and response to my question. I appreciated your reference to Dr. Congdon. His work on Bultmann has altered my attitude toward him in a positive direction. First, in reference to your question, I think you stated quite well what I read in Chapter 15 of Pannenberg's Systematic Theology. The literalism of popular eschatology (pre-post-a-millennial, rapture, identifying 666, Jerusalem, Armageddon) is all gone. He is quite clear, though, that apocalyptic points to a the reality of the rule of God over cosmos and human history, a rule of which we can see only traces now that will reach their fulfillment in the promised eschaton. Yet, and here is where I get a little fuzzy, he does not think of this as divine intervention in a conventional sense. If eschatological realism means the ultimate transformation of this world and history into an actualizing of the rule of God, then Pannenberg would fit that description. I should add, though, that the basis for all this is the transformation of Jesus in the resurrection. The resurrection is a proleptic sign of what will happen to humanity and this creation as God allows it to exist in eternity with God. I think part of the reason such matters are important to him is that the ambiguities of this life, such as the debatable quality of the existence of God, the providence of God, and the problematic that suffering and evil present, will find their resolution, not in a systematic presentation of theology or a philosophy of history, but in the promised rule of God. Part of my question about eschatological realism is this: What would be an example of its opposite? Eschatological Idealism? Is Bultmann an example? Matt, thank you so much for your response. I read you differently this time, and I think I am in agreement. To see God at work in Jesus is an act of faith, an act that will separate the believer from those who look at Jesus differently. Not to pursue this too much further, but such subjectivity means one does not have an objective ground to share with one who does not share that faith. At least, that is what I infer. I suppose I would still want to affirm some anthropological commonality, such as our quest for meaning and purpose, but that may well take us well beyond Weiss. Matt, as to making Pannenberg a preterist in his eschatology in your sense, I am not sure. What I read is an incredibly Christ-centered eschatology. In fact, the typical apocalyptic attempt to interpret history (Daniel, Revelation) is gone in Pannenberg. He replaces it with events surrounding Jesus of Nazareth. If I read him right, and I am always ready to be corrected, Jesus is the only proleptic sign of the promise of God that creation and human history will find their destiny reached in eternity. God has such regard for the individuality of creation and human beings that they will find a place in the loving embrace of the Trinity. It is realist in the sense with the return of Christ, the rule of God will become actual over the cosmos and history. It will mean judgment, of course, but it will also mean transformation and redemption. Individuality and sociality will find their fulfillment as creation becomes the Body of Christ. As to your comment about the mature Barth, I do not offer a disagreement but an observation. I am in a reading group on Church Dogmatics and we are in IV.3.1, which has many references to hope, anticipation, and the proleptic nature of the coming of Christ, and that Christ is still moving toward that future of God, even as the future is moving toward us. I grant that Barth and Pannenberg are likely using the terms differently, but the similarity was interesting to me. I am not aware that Pannenberg refers to this portion of CD, but he should have. As I reflect back on the comment about early dialectical theology setting aside a chronological dimension, I think part of my sense of it is that this is one way to respond to the challenge of science. Science says that the end will be nothingness. Barth and Bultmann can avoid the issue by creating a dialectical, rather than triadic, path to an encounter with God. In a sense, they can by-pass dialogue with science precisely because they set aside a transformation of this cosmos and this human history in favor of a different time-line, so to speak, in which eternity and time remain in tension. Of course, Pannenberg, with his triadic reasoning, is going to argue that eternity embraces time. I wrote far more than I intended! I am likely off-base here in my reasoning. I stress that I continue to wrestle with such matters. I like Pannenberg's thought that this world (universe), with all its suffering, evil, and pain, will find redemption, peace, and justice, especially as he grounds this thought in Christ. Yet, the perpetual tension between eternity and time that Barth expounds and the focus on the non-chronological but eschatological moment of Bultmann may well be closer to the truth. George, thank you for responding. I'm glad I was able to provide greater clarity. And you are correct: Barth and Pannenberg are definitely using similar terms in very different ways. I want to take issue with how you seem to imagine "the challenge of science." First of all, I know of no natural or social science that speculates about the eschaton! Only fundamentalist apologetes suggest that "science says that the end will be nothingness" as though we were all obviously talking about the same thing. The sciences are not nihilist! If you're referring to the hypothetical heat-death of the universe as a product of entropy, which originates with Lord Kelvin in the 1850s and requires some very specific qualities of the universe that aren't all in evidence, then some physicists say that the universe will eventually reach a state of thermal equilibrium such that processes that rely on temperature differential will no longer work. But that's not an eschatological scenario; it's a hypothesis about the future state of the universe based on how things we think are universally applicable physical laws might apply. No more are "big crunch" scenarios eschatological; they describe a different potential future state of the universe on the basis of different assumptions, one that only involves the end of a certain kind of order in the universe. None of these involve the creature ceasing to exist. None of them involve an end of time and space and matter and energy. Generally, the physical sciences do not speculate about the end of the universe; it only seems that way to laypeople. What happens is that we speculate about how we think the universe presently works, and how it has developed, and we build models based on our theories, and then we try and run those models out as far as we can. And then we observe their flaws, do better science, and try again—over and over. And we do it in dozens of conflicting schools, all at the same time, and we compete to find the most consistent answers to hard problems. Those speculations are only a threat to bad theology, in the same way that Galileo's observations were. They challenge a theology most when it has decided to assert a worldview in contradiction to fact. Good theology adapts. And beside there being no "issue" there, Barth and Bultmann do in no sense "avoid" it, as though purely hypothetical physical extrapolations of the futures of model universes relevantly like our own for the purposes of testing theories—let me take a breath there—were theologically relevant. It is not in any way an avoidance of science to disagree with theologians who insist that the eschaton is one with the future evolution of the universe! Nor are they "by-pass[ing] dialogue with science" by rejecting a very specific model of (selective) theological appropriation of topical results in the history of science. Nor, in rejecting such a model of theologizing science, are they "setting aside a chronological dimension" by insisting that the "transformation of this cosmos and this human history" is not in any way a teleological process oriented toward the eschaton and directed by God! You are universalizing what is in fact an extremely narrow and very late perspective relative to the tradition and its historic interaction with the sciences, and you need to step back and have a better look at the whole. Barth is among the best theologians I know in dialogue with the sciences, precisely because he understands their processes and objects, and accepts what they have to tell him in their own provisional ways, while theology goes about studying its object using its own processes. Insisting that these are not overlapping and mutually-determining objects that must be united under one epistemological umbrella is actually the most Modern and scientific approach to the problem of their interaction. This compartmentalization enabling interaction at the edges and cooperation without usurpation is how we actually get along today, and has been functional at many points throughout our history—with the exception of those periods in which ideologues from either side, who are neither theologians nor natural or social scientists, decide that they can set the terms of inquiry and interaction, and redraw the lines so that they control what can and cannot be said. And in those times, we all suffer. Matt, again, the way you have written has clarified. Thank you for taking the time to respond. I have read much from scientists about origins and endings. At least my reading of them, although you are making me want to revisit them, is that they are speculating about the end of space-time and energy. I am not arguing with you on this, for as I wrote, you are making me want to revisit some of these authors. Crunches, collapse, or just winding down so that there is no motion, sound like "end." You do not my term of setting aside, but to me, I am not sure how that differs from your notion as "not overlapping" and "compartmentalizing." You are saying, I think, that science and theology are on two separate tracks? I can agree with that. I may read some persons too much, but I find an increasing push from science that it has discredited all religion and theology due to its explorations. That is what I meant by the challenge from science. Some scientists want one track, and science is the sole method of determining what constitutes valid human discourse. I am quite ready to step back and take a better look at the whole. For you, is Barth in volume III that better look? In addition, something about a dualistic approach to epistemology disturbs me. I am not even arguing with the point you make. It makes me wonder. J Scott, it occurred to me that when you referred to Matt's Lutheranism, that Pannenberg is Lutheran, and so is Hegel. In fact, I come from a Lutheran background, even though I am now United Methodist.